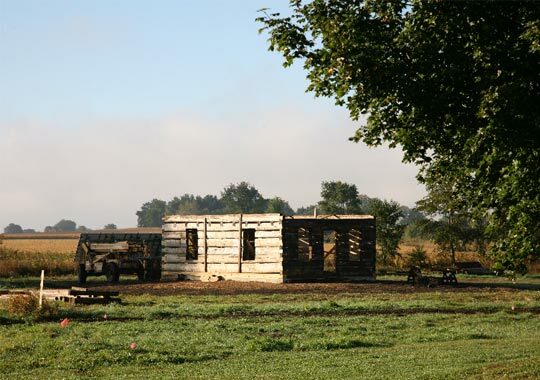 A restored 1830s log cabin now stands on the property at Soulful Prairies. 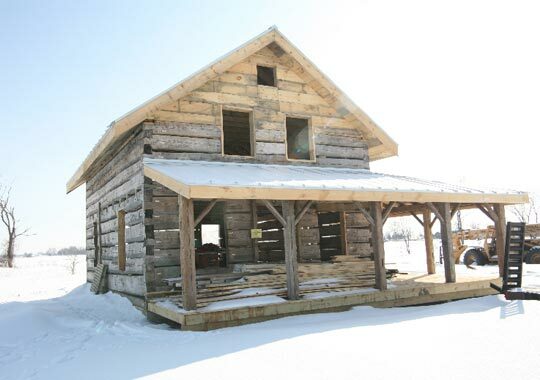 The cabin was carefully dismantled, restored and moved from Leopolis, Wisconsin. Troy Rische headed up this project of passion. The story goes that the original settlers were traveling with a team of oxen in search of a new homestead when the wagon axle broke. This was the location where they settled and built their new home. The logs were cut from the property and are Canadian hemlock and exceptionally large ranging from 18 inches to 22 inches across. The age of these trees falls somewhere between 150 to 200 years old, putting the date of their germination in the mid-to-late 1600s. 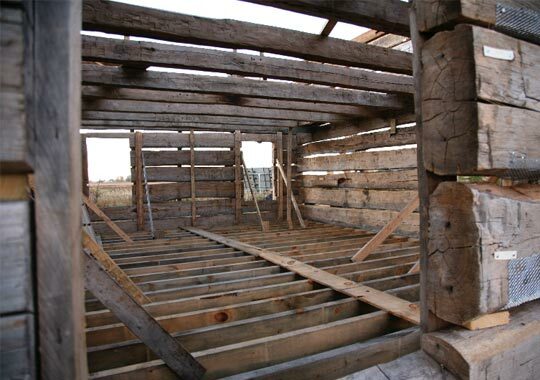 In the 1800s families were embarrassed to live in log homes as they were seen as a “poor man's home.” Often money was saved as quickly as possible to put towards siding and a changed status. Soulful Prairies log home had been sided three times while in Wisconsin. The siding created protection from the weather over the years and kept the logs in pristine shape. The original settlers sold the log home to the Pevonka’s grandfather and the home stayed in their family until we purchased it in 2013. 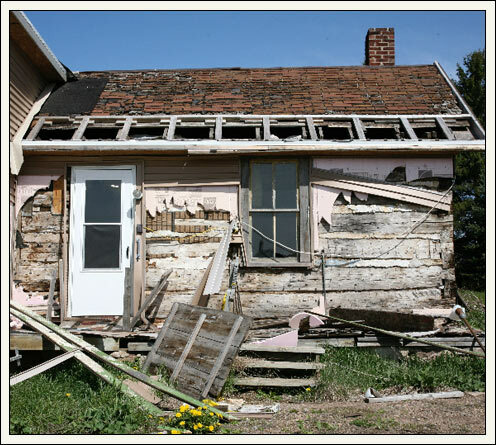 The Pevonka family had nine boys who were all raised in what was then a 750 square foot home. One of the sons Harry, lived his entire life in this cabin in Leopolis. Take a look at the cabin now!